This was cute short book perfect for bedtime story-time or for children learning to read. The sea animals and colorful depictions really pull the children in and make reading fun. 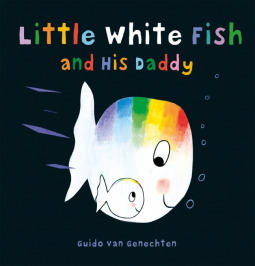 We have different little sea animals telling Little White Fish what makes their daddies spacial and unique. It was just so adorable.